When you think of some iconic All-American symbols, what comes to mind? For starters, rugged American trucks have made a name for themselves and have quite a following in the United States. The pickup trucks like the Ford F150, Dodge RAM, and GMC Sierra (or Chevy Silverado) are strong, yet give their owners a feel of luxury that combines the best of both worlds. This overview highlights some of the most popular American made legends and their evolution from the time they were introduced all the way up to the present. The Ford F-150 is a full-sized pickup that was introduced in 1948 and has exploded in popularity. Today's Ford F-150 models are known to be extremely strong, but are actually 750 pounds lighter than the previous generation. The body is made with aluminum and rigid testing has proved that this choice makes this vehicle extremely durable. There are also even special editions that are available for purchase that cater to campers as well as the fashion icon Eddie Bauer. The Ford SVT Lightning is a sportier version of the pickup targeting those who like that sporty look with the practicality of a truck. 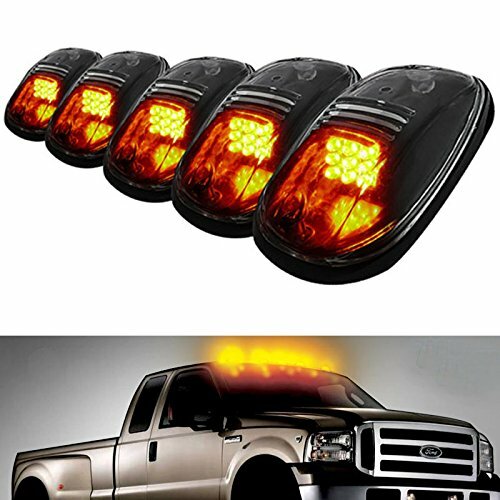 Unique LED cab roof lights for your truck! The Dodge RAM is also another American classic, with the name RAM first introduced in 1981. The Dodge RAM is known for its manual transmission and rightfully so, since the majority of competitors stopped having the manual option. If anyone absolutely had to drive a stick shift truck, then this was the one to have. This truck actually has a pretty high fuel efficiency and there is even a plug-in hybrid available for consumers. The hybrid trucks are being tested for demonstration and reception so if it becomes popular, then the environmental benefits are endless. The GMC Sierra, otherwise known as Chevy Silverado, are mechanically the same and introduced in 1998. The Silverado is marketed as a more standard, everyman truck while the Sierra is targeted as a more luxury equipped truck. Since 2011, these big cars have upgraded steel frames as well as huge rear springs to improve the stiffness for a more rugged drive. The shock mount has also been updated into a two-bolt design so there are no worries of thumps or squeaks that plague many owners. The safety rating on this vehicle is absolutely superb, coming in to the upper most league in crash tests every time. There are even electronic upgrades, such as a USB port, Bose audio system, and OnStar so that drivers don't have to sacrifice luxury if they wanted a big car. 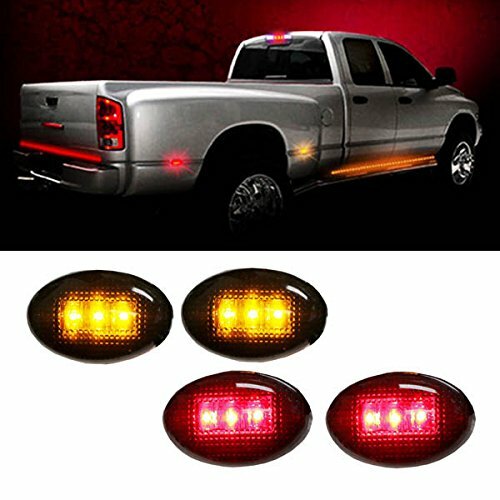 Side marker LED lights for Ford F150, Dodge Ram and more. Options for upgrades for these monsters have also even grown exponentially, as truck owners can install a number of accessories available on the market. This involves a new set of roof LED cab lights, storage cases, and bull bars. The possibilities are endless and people can create their personalized four-by-four. You can see these automobiles on the road as they tower over everyone else around them, creating a feeling of safety and luxury combined.